We all love watching sports, and there is nothing better than getting a snack or a drink during the hot day at the sports arena. New high-tech vending machines are making it even easier for you to sell snacks and drinks at the arena. Sport arenas, malls and convention centers have unique needs that not every vending service can solve. We service a large percentage of convention centers and arenas in the region and we know how demand can spike and we understand the 24/7 nature of support. We also understand the demands for healthy options, especially in an environment like an arena, mall or a convention center where users might be visitors, staff, or exhibitors. To get a $500 signing bonus and a free vending machine please fill in our form. Arenas, recreation and amusement centers are places where entertainment and activities take place, such as sporting events, community centers or theaters. Placing a high-end large capacity Intelfoods vending machine in these areas can greatly reduce lineups at concession stands when customers are in a hurry to return to the event or activity. Vending classic or healthy products can also be a cheaper alternative to those who don’t wish to purchase an entire meal (if such a provision exists at the center). We can vend anything from your typical snack and beverage items to team hats, shirts and other paraphernalia. All Vending Machines can be customized to the size most convenient for where it is being placed, whether it needs to be a slim or has enough room to be double-sized. 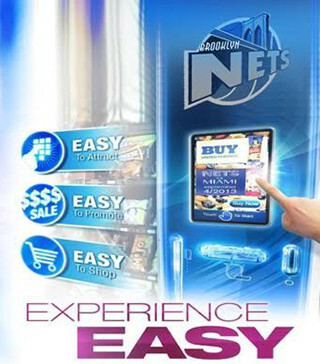 Intelligent Foods On Demand is the leader when it comes to unique Retail Vending Machines for items of any shape and size. Customizable equipment skins and an integrated 8” touchscreen display allow retailers to display their logo, event or a special promotion on each machine helping to promote brand awareness and sales. Call now to get your free machine and $500 bonus – (800) 915-9643. Using our powerful vending machine software, our vending machines can catalog every transaction and provide powerful live web-based reporting options to our clients. The software provides complete transparency into each machine’s sales and inventory in real time, ensuring continuous supply of products in each lane. Placing retail vending machines throughout the establishment enables personnel to remain on premises and optimize their time at work. In addition to optimizing the product variety, our complete solution bring a multitude of security and safety benefits. With the wide range of point-of-sale technology available in our products, you can provide visitors and staff with nutritional information on every product in our machines, which is more important than ever when vending to today’s customers. Whether you need to track sales and visits or simply want to minimize employee’s absence from the premises, our vending machine platform is the perfect answer. 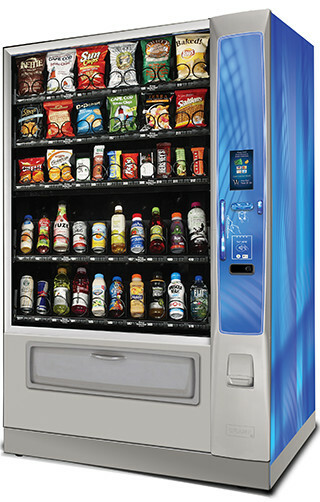 Call now to get your free vending machine and $500 bonus – (800) 915-9643.